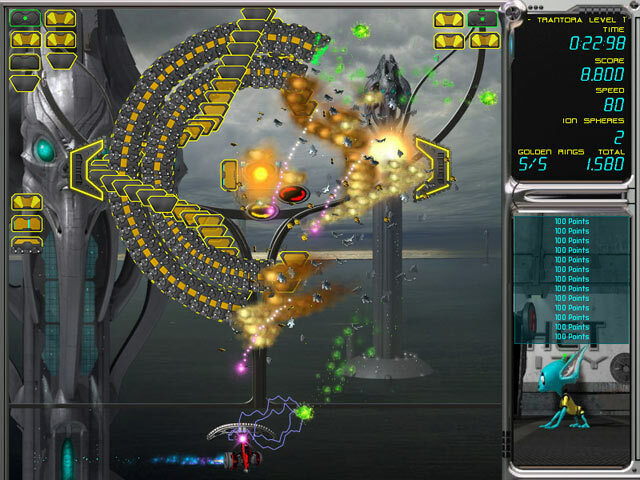 Ricochet around the Galaxy in this dynamically brilliant Brick Buster action game! Trek across 216 awesome levels, with thousands more online, earning new ranks in the Galactic Tournament, by yourself or with a friend. Play the re-energized Ring Game, winning new balls and ships with unique abilities to give you the edge! Control your ball with the wildly innovative Recall feature - once you`ve tried it, you can`t go back! Travel to the stars and beyond in your glorious quest to become the Ringmaster Grand Champion! Ricochet - Infinity is rated 4.8 out of 5 by 16. Rated 5 out of 5 by compcrzy from Love Love Love it! I love playing the user created sets. So much action and new power ups! I'm hooked and I can't stop playing! The only minor annoyance I have is that when I open the game, it causes my browser window to shrink. Maybe because this is an older game and not really built for Win 10 users, but everything still works. Rated 5 out of 5 by treklady1 from The best Ricochet yet! I rarely write reviews, but this game is so much fun, I just had to do it. Of all the paddle/shoot-em-up type of games, not just Ricochet, this is the best one yet. 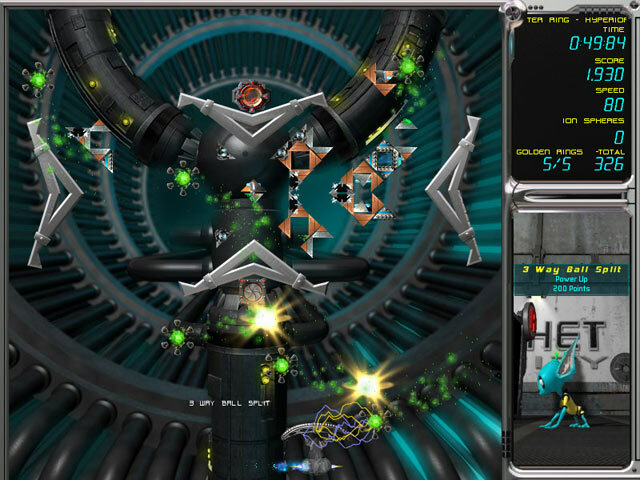 It is full of different power-ups and challenges, making it interesting and fun. Definitely addictive! I played the demo for about 5 minutes, then stopped long enough to buy the game! Rated 5 out of 5 by Linda_in_Aussie from Imaginative Brick Buster Game This is a top game! If you love brick buster games then this is the one to buy. I like to have a variety of games on hand and this ones the best I've played in the brick busting genre. It's not just hitting aimless objects - rewards and upgrades are dropped to make play more intense but also you need to avoid objects that obstruct game play too which make it a little more interesting. I like that any level of challenge can be selected - Kids, Easy, Medium, Hard and Insane. So it's suitable for all the family. I didn't think much of it at first but it didn't take all that long to catch on. Now I'm addicted and it's a great go-to game when I feel like playing some different. Rated 5 out of 5 by Granniegrainne from I wish I love this game more than any other on my Mac and regret upgrading to Yosemite because now it won't work anymore. Rated 5 out of 5 by rayman1234 from richochet infinity WOW, What a game,I have just purchased this game after playing the trial version for about 5 minutes it is SUPERB !! The quality is spot on with fantastic graphics and sound, i am sure i will be buying the other two brick-busting games from this developer !! Hopefully they will make more of these brilliant games if we keep giving them our reviews ? Keep up the great work guys !!! Rated 5 out of 5 by motorina1k89 from Action and Arcade Having purchased all the ricochet games on offer and completely enjoying the experience of working my way through the phases, sometimes just about tearing my hair out with frustration.However the satisfaction of of completing the level gave me a feeling of accomplishment. Love to see more of this type of game. Rated 5 out of 5 by DustFlea from Never a Dull Moment All I can say, it has entertained me for 6 years. Even my 3 year old great nephew can play it. Rated 5 out of 5 by rainbowtree from Ricochet Infinity - Premier Brick Buster Game This is by far the best brick buster game available. There is a quest to complete, thousands of additional user-made levels, gold rings to collect, and trophies to earn. You can choose difficulty and ship attributes. 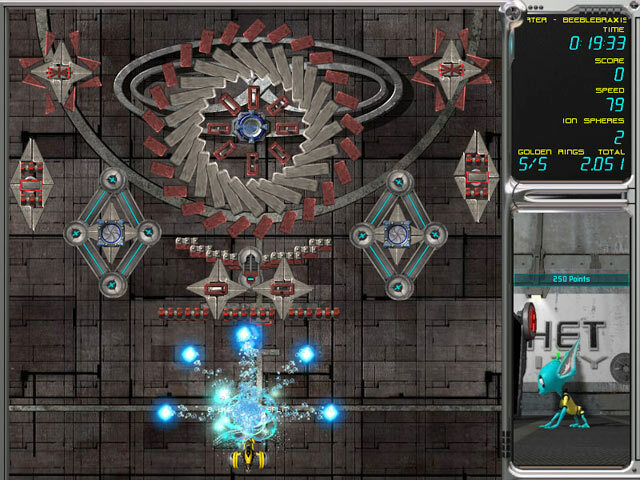 There is a ball recall feature, giving you more control of your ball than any other game of this type. Completing all 146 levels and gathering all 730 rings in the Richochet Infinity Tournament earns you the Gold World Cup Trophy of the Richochet Galaxy. Defeating all 70 rounds and gathering all 350 rings in the Delta Quadrant Tournament earns you the Gold Delta Quadrant Cup. The title of Ring Master is bestowed upon you when all 1080 Power Rings of Infinity have been harvested. 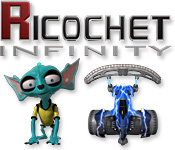 Rated 5 out of 5 by Adio_pinoy from Ricochet:infinity This is my 3rd Ricochet game and the best by far. For teens and up, it has tons of action and the graphics are stellar. Fast paced and exciting. One of the best action games I ever had. Best bang for your buck.